Rashid is a serial entrepreneur who has founded four companies so far. He left Chegg in 2010 to start his current gig as CEO at Kno which he also founded along with fellow Pakistani-American Babur Habib. Habib has a BSEE from University of Minnesota, MS from Stanford and Ph.D. from Princeton. He serves as CTO at Kno. The Silicon Valley based company offers electronic textbooks and associated software for K-12 and college courses. It is backed by Intel, Goldman Sachs and Netscape founder Mark Andreeson's VC firm Andreeson Horowitz. In its filing for initial public offering, Chegg says it plans to raise nearly $200 million by offering its stock for sale at $9.50 to $11.50 a share. At the midpoint of the range, that would value Chegg at nearly a billion dollars. The name Chegg combines chicken and egg. It rents textbooks for a semester at a time at about 50% off the retail price. It has 180,000 titles in its catalog. It also offers more than 100,000 electronic textbooks and has rolled out offerings like helping high school students find colleges and scholarships, according to New York Times. Like its competitors, Chegg offers book return guarantees and shipping speed. Chegg is a selling point for your own books as well as textbook rentals at low prices. What differentiates Chegg is that it offers course reviews and grade distributions as well as homework help for selected courses. Along with first hand reviews of a course, you get a detailed schedule of the books you need for it. Chegg claims it now reaches about 30 percent of all college students in the United States and 40 percent of college-bound high school seniors. We had a tip about, have now confirmed, Intel’s latest acquisition: Kno, the education startup that started life as a hardware business and later pivoted into software — specifically via apps that let students read interactive versions of digitized textbooks. Intel was among Kno’s investors — the company had raised some $73.4 million in funding since being founded in 2009, with Intel leading the Series C round in April, 2011 (in the $37.5m round, Intel invested $20m). We have still to find out who and what is coming over with the acquisition. Osman Rashid, the co-founder and CEO, was also a co-founder of Chegg. Update 2: A bit more detail on how this is playing out. It turns out that just about everyone is joining Intel. The one major standout… CEO Rashid. It’s unclear where Rashid is going next. We are trying to find out. Using Kno for an international education play is not an out-of-left field idea. The two companies had already been working together in markets like China on textbook digitising initiatives. “It became more attractive to me to have them be a part of the portfolio rather than just a partner,” said Galvin to me. He pointed out the company’s ingestion engine as a particularly interesting aspect of the business to help Intel work more closely with the publishing world. There are also some aspects that play into Intel’s bigger investments into areas like AI and natural language processing. “It’s a very nice e-learning platform, and perhaps eventually also a natural language support platform, with an analytics engine. The capabilities are there. We can perhaps push them into areas they weren’t ready to go in on their own.” He said that while there is still some IP left from the company’s previous incarnation as a hardware play, for now the focus will be on more software development. No comment from Galvin about the pricing on the acquisition. A few phone calls later, it seemed Kno really did want to bury the news. Why? Because it sold for literally pennies on a dollar. Well placed sources who were in the know told us that the company sold for $15 million with some retention bonuses for the employees. Intel bought the company mostly for its hardware-related intellectual property and the employees. Intel also was one of the largest investors in the company — having pumped in $20 million via its Intel Capital arm. 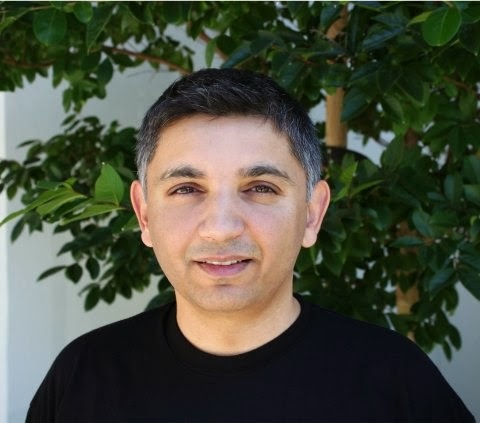 Kno started life as Kakai Inc. and was co-founded by former Chegg CEO Osman Rashid and semiconductor industry veteran Babur Habib. In its four year lifespan, raised $73.4 million from venture capital firms of Andreessen Horowitz, First Round Capital, FloodGate Capital, Advanced Publications, Ron Conway’s SV Angel, GSV Capital and Intel Capital. It raised about $20.3 million in debt as well. Given how debt deals are structured, the venture investors lost pretty much their shirts on this deal. Osman Rashid, co-founder and former CEO of textbook rental service Chegg, as well as Intel-acquired interactive textbook platform Kno, is announcing his next startup, Galxyz. The idea is still related to education, but otherwise it sounds like a pretty big departure. Galxyz (it’s pronounced “galaxies”, and it’s a nightmare to spell) is building a science-focused game for tablets and smartphones. And the company really is just focused on one game — Rashid described it as “an intergalactic science adventure,” one that kids could potentially play for years, battling a villain called King Dullard across the galaxies. As they do so, they’re also learning about science at their own pace. Apparently the idea came to Rashid as he saw his own children playing educational games, which he found lacking in several ways. He said they weren’t engaging enough, the content wasn’t deep enough, or they required the parents to get involved in order for the kids to advance. That second point is why he’s focusing on a single title — so that kids can just keep playing rather than running out of material after a few weeks. Rashid also said that the gameplay will be integrated with the actual learning. In other words, players don’t read a bunch of material, then play a generic game that tests them on their knowledge. For example, he said that to help kids learn about gravity and related concepts in one of the early mini-games, players will actually have to use different forces to defeat their enemy. The content is designed to support the upcoming Next Generation Science Standards, and the company has partnered with the New York Academy of Science to test the game out over the summer, with the full launch planned for September. The game is supposed to be playable by students from 3rd to 12th grade. Rashid said the real target audience is 3rd through 6th grade, but he added, “We don’t have the concept of grade — we have the concept of levels.” In other words, the game never asks players for their grade level. Everyone starts in the same place, then the more advanced students should be able to pass through the early stages of the game more quickly. The initial release will be aimed directly at consumers, with the goal of eventually creating versions for schools too. The business model is still being figured out, Rashid said. He did assure me that even though he doesn’t want parental approval to interrupt gameplay, it will be the parents who have make any purchases (which is part of the business challenge). Galxyz is backed by Relay Ventures, Andresseen Horowitz, and Emerson Collective.